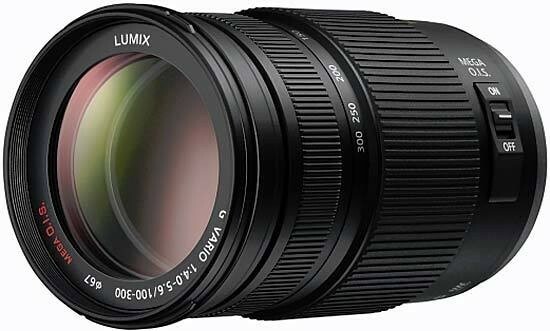 The Panasonic LUMIX G VARIO 100-300mm F4.0-5.6 MEGA O.I.S. 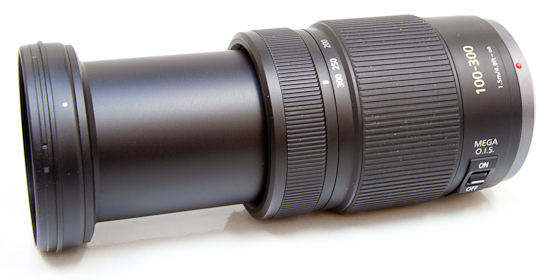 is a new telephoto lens for the Micro Four Thirds system. With MTF bodies having a crop factor of 2x, it provides an effective focal range of 200-600mm in 35mm terms, yet only weighs just over 500g. Comprised of 17 elements in 12 groups including an ED lens, the LUMIX G VARIO 100-300mm F4.0-5.6 MEGA O.I.S. 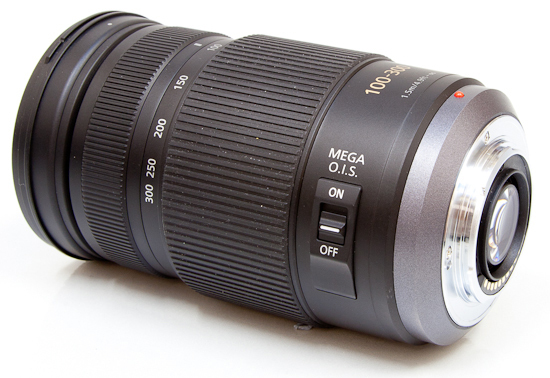 lens features Panasonic's MEGA O.I.S. (Optical Image Stabilizer) to help combat the inevitable hand-shake, near-silent high-speed focusing, seven blades to give the aperture a rounded shape, multi-coated lens elements to minimize ghosts and flare, and a reliable metal mount. 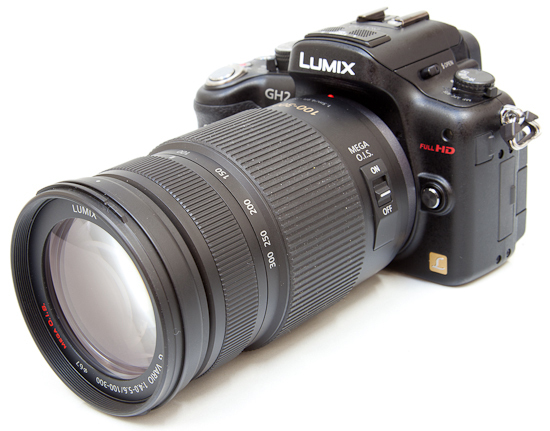 The LUMIX G VARIO 100-300mm F4.0-5.6 MEGA O.I.S. lens is available for £549.00 / $599.95 in the UK and the US, respectively. 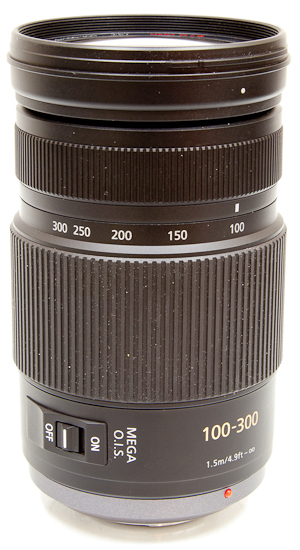 The LUMIX G VARIO 100-300mm F4.0-5.6 MEGA O.I.S. 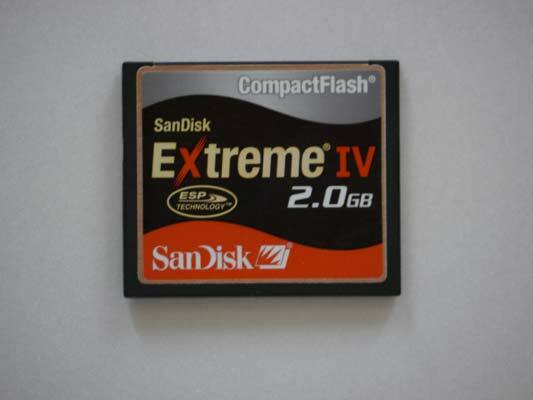 is surprisingly small and light for a superzoom lens covering a 35mm equivalent focal range of 200-600mm. Zoomed to the 100mm setting, the lens fits in the full length of your hand, while it measures 18cm when fully zoomed out. 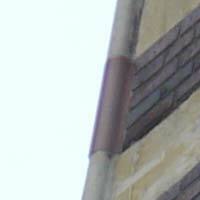 Zooming is not internal – as you can see, the front extends considerably upon zooming to 300mm, at which point the lens cannot be considered tiny any more. Still, it's a pretty compact affair for a lens that spans such a vast focal range. It's also remarkably light at only 520 grams. In terms of features, the lens offers a distance scale and image stabilisation which is turned on and off via a switch on the side of the barrel, an essential feature given the huge zoom range on offer. Note that the switch isn't very positive and it can easily be knocked to the wrong setting. The LUMIX G VARIO 100-300mm F4.0-5.6 MEGA O.I.S. lens may have a lot of plastic parts, but the lens mount is, thankfully, made of metal. Panasonic does not claim any sort of weather resistance for this lens, and indeed you cannot see a rubber seal around the mount (note that no current Micro Four Thirds camera is weather sealed anyway). Usefully the lens comes with a hood and a cloth storage bag, and it accepts 67mm filters. At the 100mm end of the zoom range, the lens has a diagonal angle of view of 12°, equivalent to that of a 200mm lens in a 35mm system. At the 300mm end, the angle of view is 4.1°, which is the same as that of a 600mm lens on a 35mm full-frame camera. The LUMIX G VARIO 100-300mm F4.0-5.6 MEGA O.I.S. lens offers virtually silent focusing. In use, we have also found the system surprisingly quick on the DMC-GH2, though not quite as zippy as the GH2 and 14-140mm lens combo. With the focus mode on the Panasonic Lumix DMC-GH2 set to AFC, the lens tracked moving subjects well. 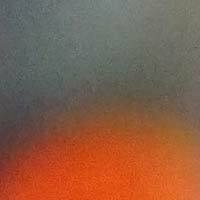 Chromatic aberrations, typically seen as purple or blue fringes along contrasty edges, are only noticeable by their almost complete absence, very impressive considering the focal lengths on offer. 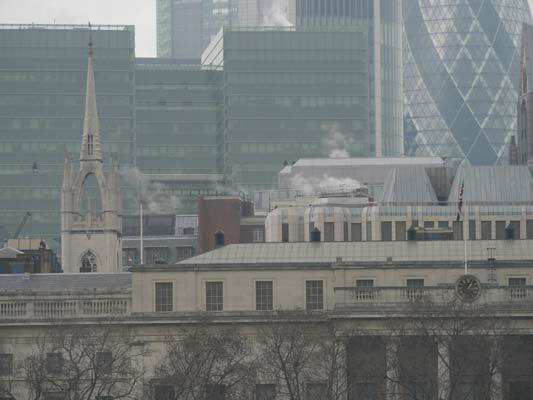 The crop below is from a photo taken at the 100mm setting.  With the lens set to its maximum aperture, you can see some light fall-off in the corners, but nothing too excessive. You will likely only notice this when photographing a subject with large homogeneous surfaces (see the macro shot below for an example). 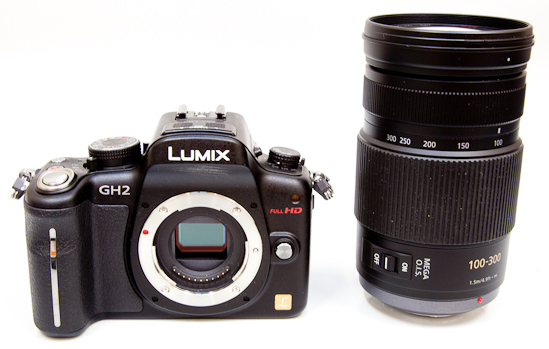 The LUMIX G VARIO 100-300mm F4.0-5.6 MEGA O.I.S. has a closest focusing distance of 1.50m / 4.9ft at all focal lengths, so it's no macro lens, although it actually puts up a pretty good close-up performance to full telephoto, with a maximum 0.42x magnification rating. Bokeh is a word used for the out-of-focus areas of a photograph, and is usually described in qualitative terms, such as smooth / creamy / harsh etc. 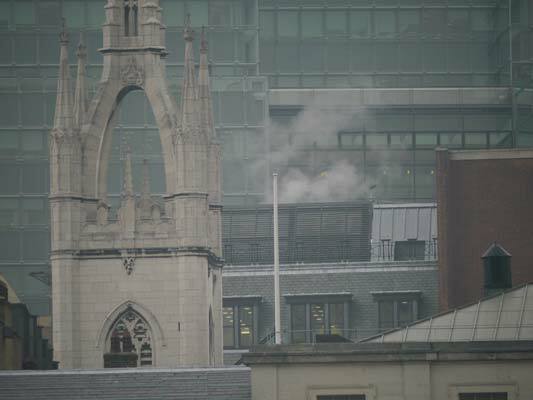 In the LUMIX G VARIO 100-300mm F4.0-5.6 MEGA O.I.S. lens, Panasonic employed a diaphragm with 7 rounded blades, which has resulted in a pretty nice bokeh for a zoom lens, at least in our opinion. However, recognising that bokeh evaluation is subjective, we have provided a few examples for your perusal.